Just after acquiring WhatsApp, now the social networking giant is making a step forward with hot news. The news that is buzzing around everywhere. 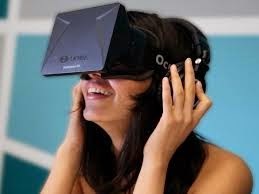 Facebook is buying Oculus VR, a virtual reality company, for $2 billion. People who think that Facebook acquiring Oculus is a step that will confuse, but this acquisition is a clear boon for VR's biggest proponents, and not a threat.